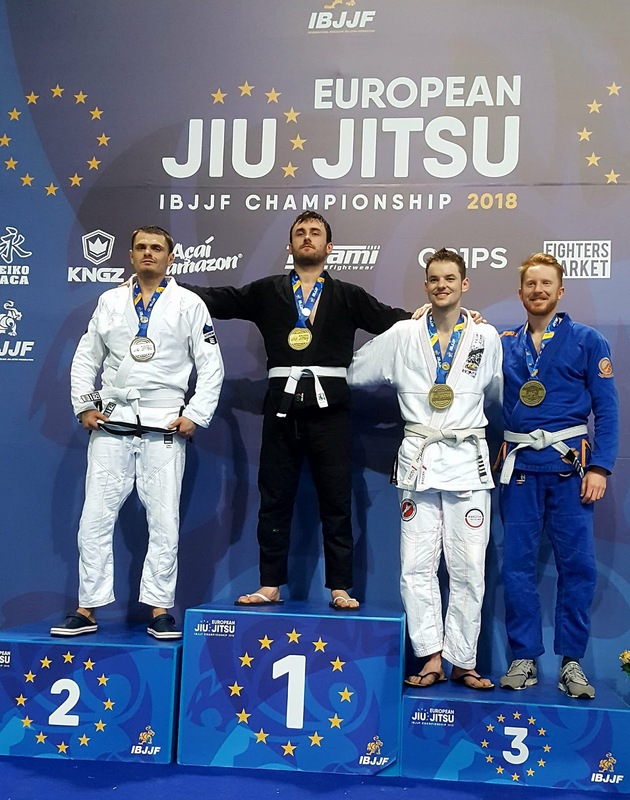 Recently in Lisbon, Portugal, has started the “European IBJJF Jiu-Jitsu Championship 2018”. Even though it was only the first day of the competition, Ukrainian BJJ team has shown great results! Sportsman of the SC “Borets” / ZR Team Vadim Voloshin took a silver medal at the “European IBJJF Jiu-Jitsu Championship” in the Master 1 division (30-36 years old) among the white belts. Once again he showed great technique and proved he absolutely deserves his medal. It must be noted that in spite of the fact that BJJ is just a hobby for Vadim he got impressive achievements! Sportsman has a lot of medals from different championships and tournaments, such as “Lviv Open 2017 Gi”, “Ukrainian National Pro Championship”, “Ukrainian Open Jiu-Jitsu Championship” and others. According to the head coach of the SC “Borets”, Ievgen Skyrda, the main fights of this tournament will be held today. Ukrainian fighters Yaroslav Blazhko and Roman Nepota will meet with their European competitors. Moreover, Yaroslav Blazhko will fight in the purple belts division for the first time ever!